Traditionally, Thanksgiving is a very butter heavy holiday. Find out how to lighten up your Thanksgiving dishes with olive oil. Why Should You Use Olive Oil at Thanksgiving? Most people are very averse to changing traditional dishes. Swapping butter for olive oil at Thanksgiving seems almost sacrilegious. However, we all know that olive oil is far healthier than butter, and truthfully, your guests are not likely to notice the substitution. Furthermore, olive oil is vegan, non-dairy and fits into many special diets. Whether you are a traditional or adventurous home cook, the ideas below are sure to improve your Thanksgiving meal. 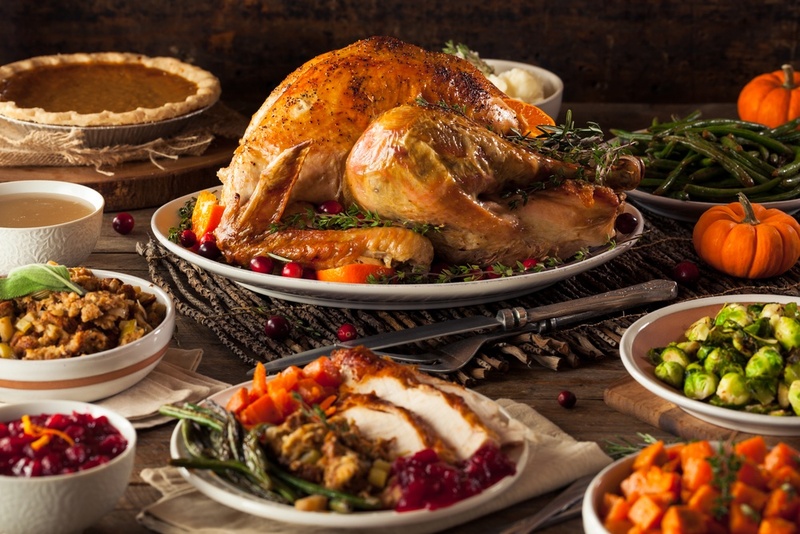 Olive oil performs well in temperatures needed for roasting in the oven and can help you cook a delicious turkey. If you have a flavor injector, you can inject extra virgin olive oil right into the breast meat for more flavorful and juicy turkey breast. If you do not have an injector, you can gently lift the skin and rub olive oil under the skin. Make sure that you also coat the entire bird with olive oil in the last 30 minutes of baking for crisp, brown skin. More adventurous home cooks can use olive oil to prepare turkey sous vide. Olive oil is used for searing these sous vide turkey legs and turkey breasts. We also recommend added olive oil to the sous vide bag. For maximum olive oil flavor, try Mark Bittman's Turkey Confit recipe, which calls for 2 quarts of extra-virgin olive oil!